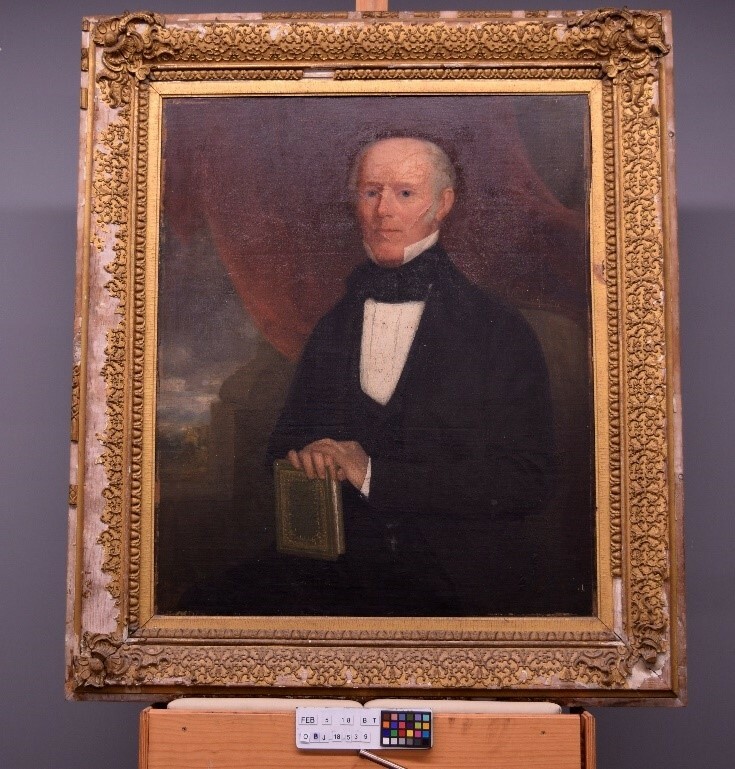 Grimwade Centre blog – Page 2 – The latest from the Grimwade Centre for Cultural Materials Conservation. Our posts showcase our student projects, research and engagement work. The latest from the Grimwade Centre for Cultural Materials Conservation. Our posts showcase our student projects, research and engagement work. 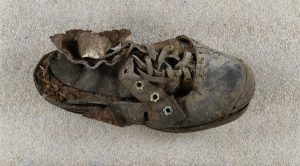 Figure 1: Top of “Child’s Boot”, before treatment. Taken by J Jordan. The first subject of the year, Conservation Assessment and Treatment 2, has begun at the Grimwade Centre of Cultural Materials Conservation (GCCMC). This week, we selected and examined objects made of a variety of materials on which to conduct our major treatment projects with over the coming month. I chose a previously buried Child’s Shoe from the collection at the Bathurst District Historical Society (BDHS). The Chinese Lacquered Writing Box appears to be an export lacquer piece, c.1850-1900, from the Bathurst Regional Council. However, export Lacquer is not made in the same way as traditional Asian lacquer. In conservation, treatments often involve ethical dilemmas. To assist us, we use information about the material and non-material aspects of objects to decide not only its significance, but to determine treatment choices (Appelbaum 2012). Supplementing this are codes of ethics that encourage us to make informed decisions based on respecting the ‘physical, historic, aesthetic and cultural integrity’ objects (AICCM 2002). Finally, guidelines promote the importance of objects to people, communities and cultural life, and help to decide on resources since not everything can be kept forever (Russell & Winkworth 2009). Common to all is the importance of the story and history of the object. 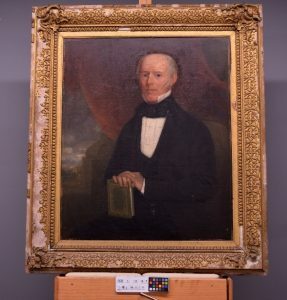 How, then, do you ethically complete a conservation treatment on an object with all the marks and scars of a life well lived but no information about how it acquired them? Figure 1: Before treatment image of Cytheria. Photographed by Kim Vernon. Colour Balanced in Photoshop by Catherine Gill. The group conservation treatment of Virginia Cuppaidge’s Cytheria c.1977 was structured around artist/stakeholder expectations whilst negotiating the inherent vices of the work as a large-scale (198.2 x 609.6cm) acrylic matte medium colour field painting. Cuppaidge initiated the treatment as she was devastated by the condition the work was in after being donated to an American college, only to be housed in the mezzanine of the cafeteria. This environment had a considerable effect on the state of the work, as water drips, mechanical cracks, tears, and graffiti covered the composition. In consultation with Cuppaidge, the significance of her work was made evident as a transitional piece in her oeuvre. It signifies her move from Australia to New York, where she was to reside and continue her practice for another forty-four years. (Cuppaidge 2018 pers. comm. 1st March). 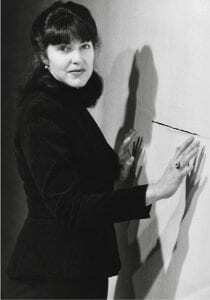 Cytheria was the work in which Cuppaidge developed her artistic process, a process that was perfected in her Skyspace Series of paintings, including three, six meter long works. Each work was painted while stretched on the wall of her huge SoHo loft studio, with layer after layer of thin colour gradients creating the all-consuming effect of undulating and sublime colour that acted as an antidote or antithesis to the modern angst of the city (Cuppaidge 2018, p.2). 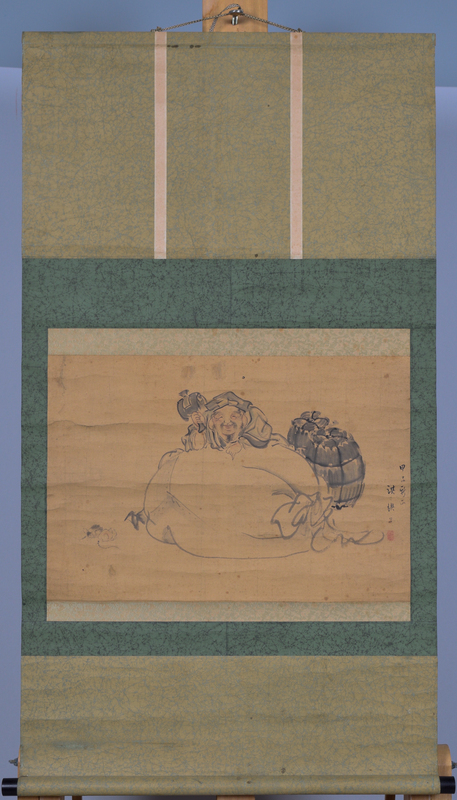 When I went to Japan last year, I decided to pick up a Japanese hanging scroll both as a learning object and as an initial gateway into the world of Asian art conservation. 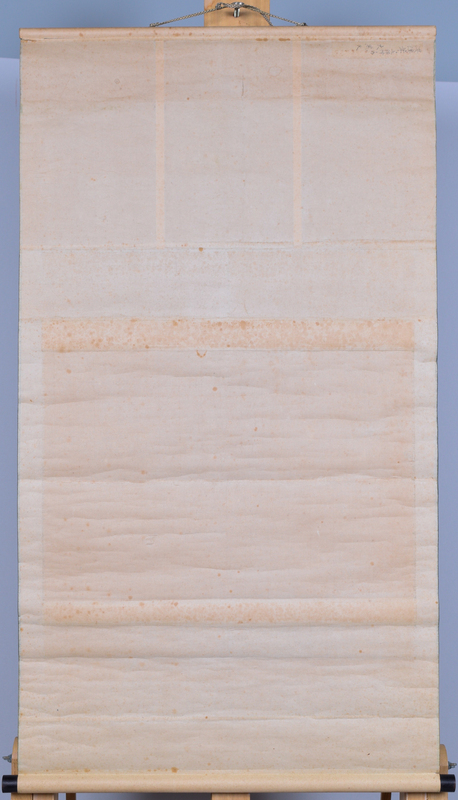 The scroll, currently titled Daikokuten, was bought at Teramachi-dori, the antiques hub of Kyoto, (Figures 1 & 2). Daikokuten was selected because it had signs of wear and tear common to this kind of object, especially since it was mounted in the traditional Japanese system, which comes with its own set of complex inherent vices. 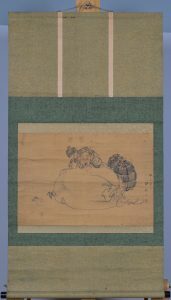 Introduced to Japan from China in the sixth century, this mounting system gives the artwork more durability and flexibility. 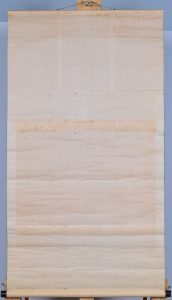 Hanging scrolls and other forms of Japanese artwork such as folding screens were assembled in keeping with the seasons and fashions of when they were created, and it was expected that they would be appropriately changed when styles shift (Burdett & Thomson 2002, p. 32; Nishio 2001, p. 16). 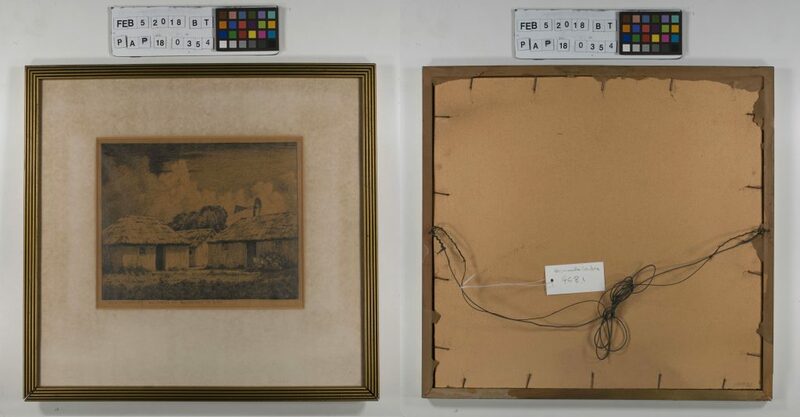 Grace Barrand, frames conservation student at the University of Melbourne, explains the process of partially conserving a mid-19th century composition frame from the Bathurst District Historical Society. The project was undertaken during a conservation treatment subject as part of the Masters in Cultural Materials Conservation at the University of Melbourne. It is almost certainly the original frame. Whenever someone asks me what it is I study I always say; “being a conservator is a bit like being a forensic detective on a crime show – you start at the end and use the evidence to find out what happened at the beginning”. I could also say that we restore as many Pablo Picassos in our everyday job as there are real life Horatio Caine’s in the actual police force, because things just really aren’t usually as glamorous as they may seem. That is, unless you’re a frames conservator. Our Middle Eastern Manuscript research team met with Anna Bowman, the daughter of Professor John Bowman in January. 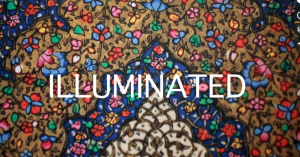 A big thank you to Anna Bowman for her knowledge and film-making expertise, members of the MEM research team Professor Robyn Sloggett, Sophie Lewincamp, Sadra Zekrgoo, Leila Alhagh, Nur Shkembi, Sally Kilby and Dr Petronella Nel; our colleagues at the Islamic Museum of Australia https://islamicmuseum.org.au Sherene Hassan and Jake Carter; and Susan Thomas, Rare Books Curator, Bailieu Library http://library.unimelb.edu.au/collections/special-collections/rare-books/internatonal-rare-books/memss.